There are so many stages in my children’s lives where I’ve wished I could push the pause button. Life moves so quickly and little personalities, traits and moments in time are soon forgotten. 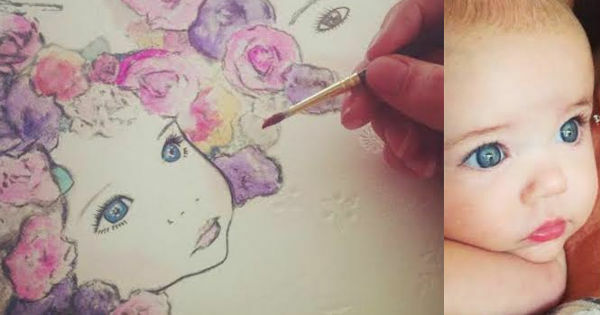 That’s why I absolutely adore this Australian mum’s incredible personalised artworks – which capture the essence of children beautifully. There are a myriad of things to love about One Sonny Day. 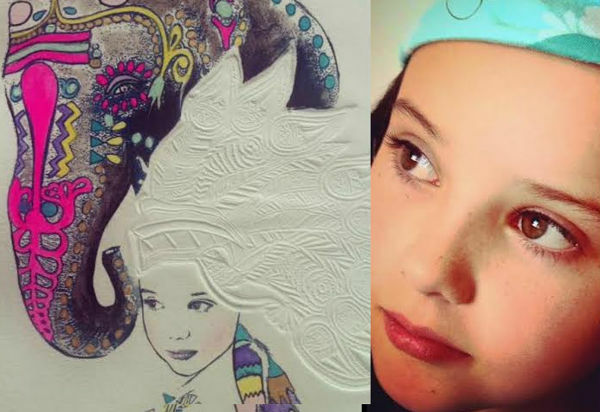 Created by Colleen, a fine arts commission painter and mum of Sonny, the artworks are handmade, embossed and full of personality. Using an age-old embossing technique, Colleen also adds pieces of European and antique laces and French paper to create rich, tactile pieces of art. She then brings the works into the contemporary era using acrylics, watercolours and inks, which adorn the paper. The detail is superb. But it’s still not the best part! 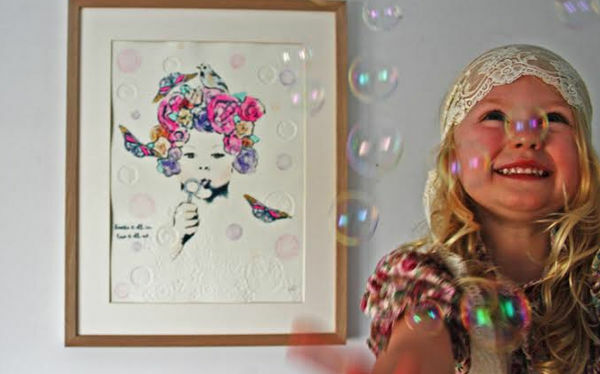 One Sonny Day specialises in creating custom portraits. By using images of children provided by the client, she can incorporate a personalised element – and this can include using text to capture the child’s personality. The images are whimsical and playful – perfectly capturing childhood. 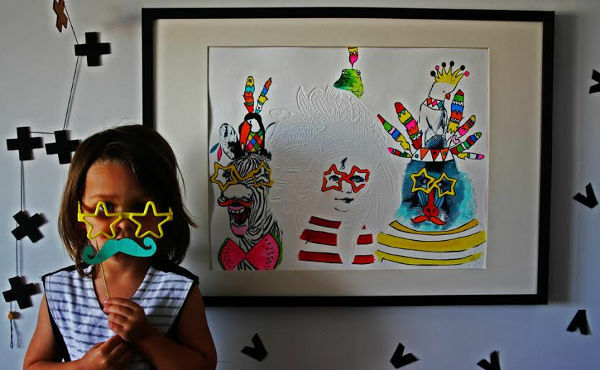 The artworks range in price from $100 to $350, while custom portraits are an additional $100. 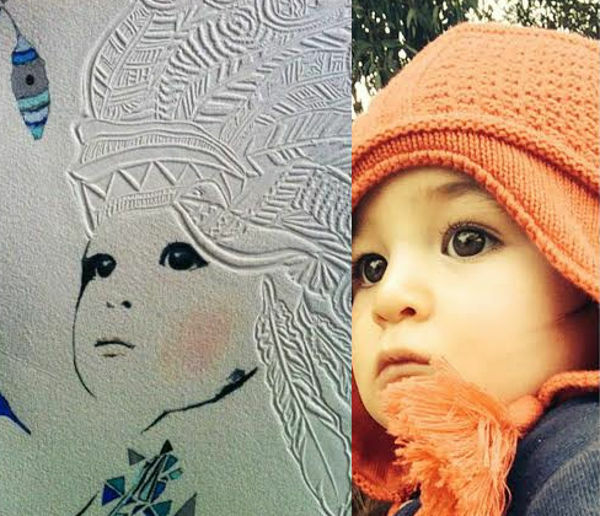 This includes your child’s face drawn into an existing piece of One Sonny Day artwork. For more information contact One Sonny Day, which is based in Brisbane.